What a surprise Geoff and I had when our friend, neighbor and new owner of our beloved Seacoast Resort, Teresa, arrived at our door with her homemade pesto in hand! 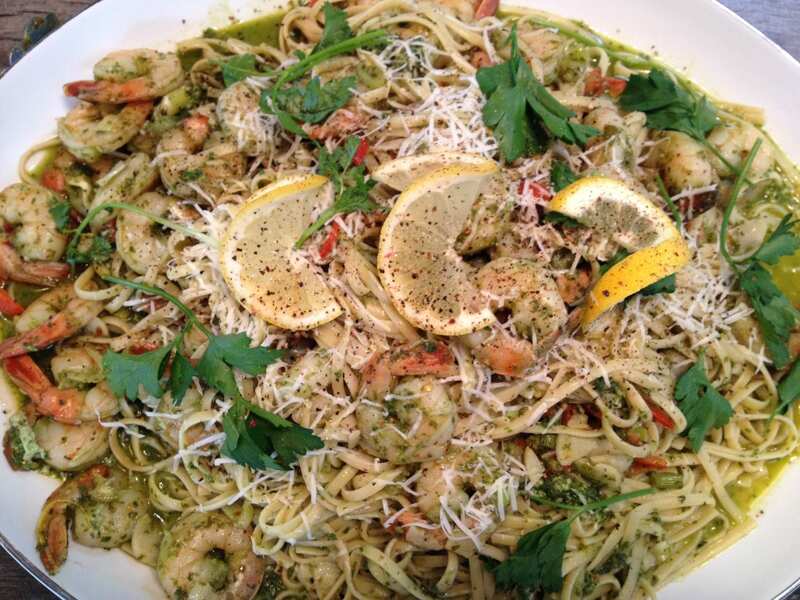 We knew we were in for a treat and she wowed us with a scrumptious pasta dish she whipped together with luscious shrimp, her fabulous pesto and a very light, low glycemic linguine! Teresa makes her pesto from scratch with loads of organic fresh basil from our local CSA farm, Seeds and Spores; she purees the basil with garlic, olive oil, pine nuts and a dash of salt. She froze packages of this wonderful sauce and we were one of the lucky recipients of the fruits of her labor. I had the other ingredients on hand, so after a bit of prep, I watched her carefully as she quickly assembled her Linguine with Pesto Shrimp, layering each ingredient with the pasta and brightening the dish with lemon; a work of art! I made a fresh salad and we all enjoyed a fabulous, impromptu supper full of love, laughs and luscious flavor. The Sauvignon Blanc was perfect! 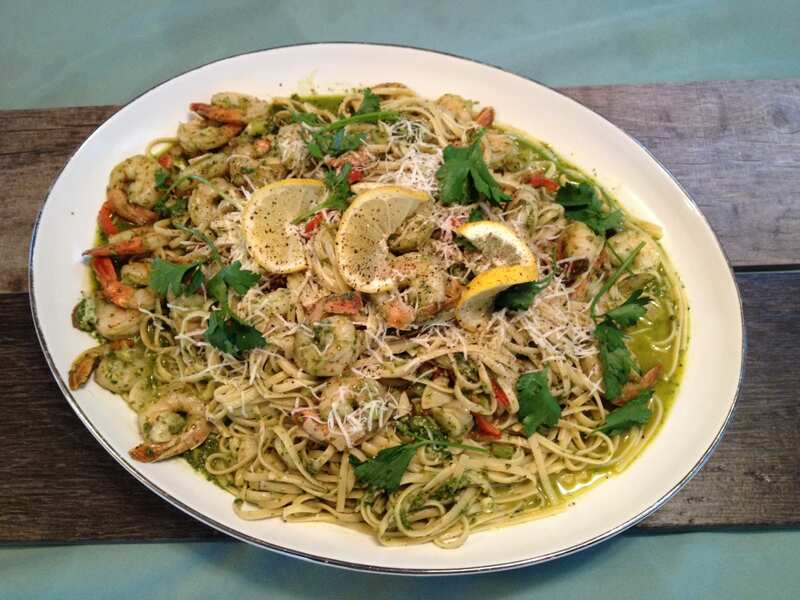 Serve immediately with a fresh crisp salad and Sauvignon Blanc wine, just scrumptious! !